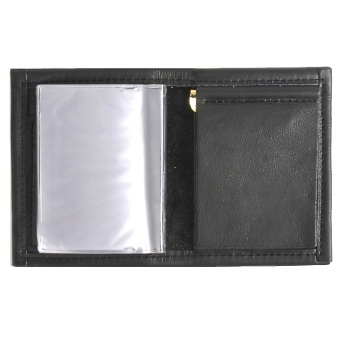 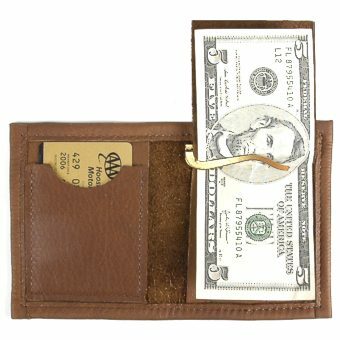 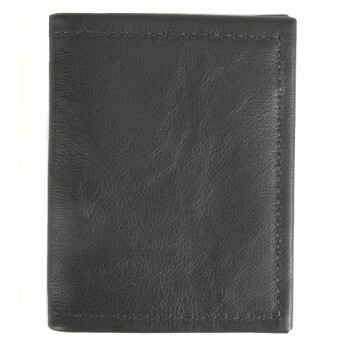 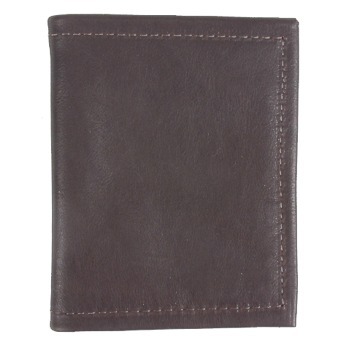 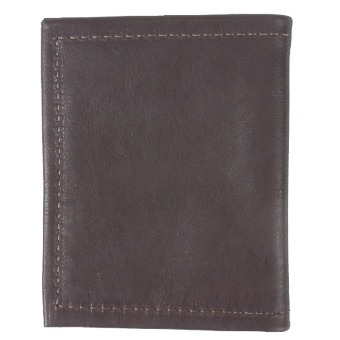 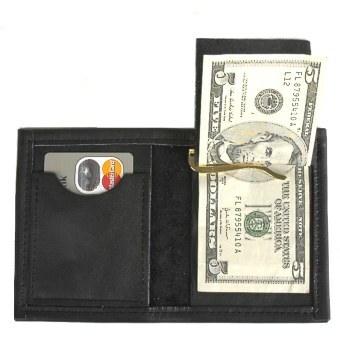 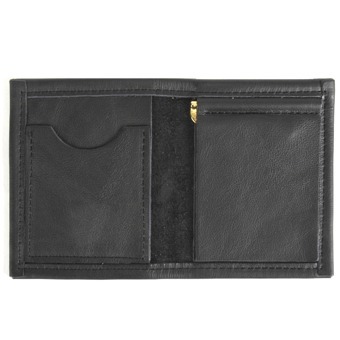 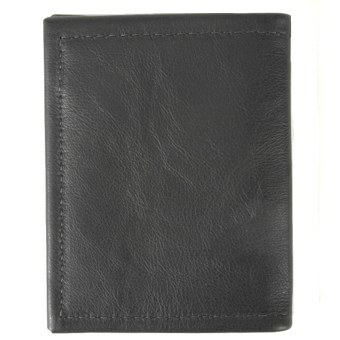 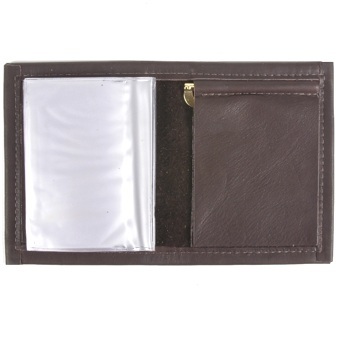 Our Money Clip Wallet is an all leather bi-fold. 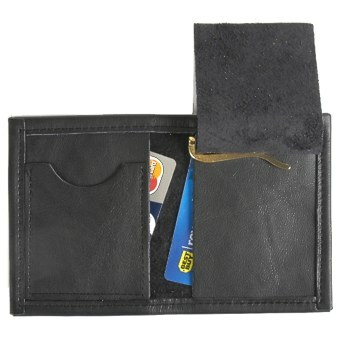 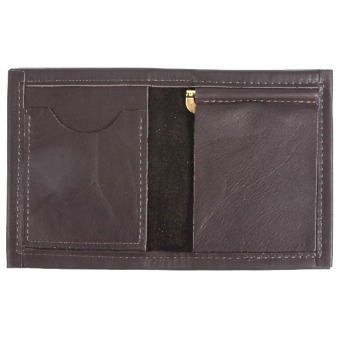 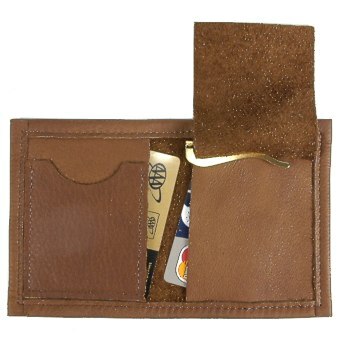 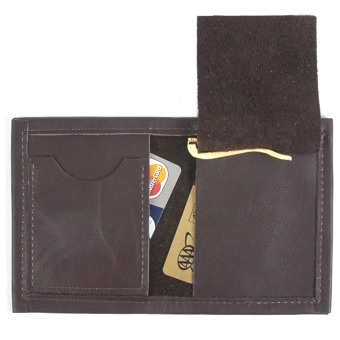 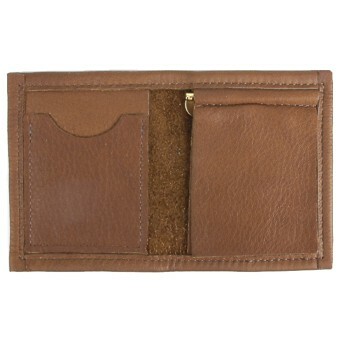 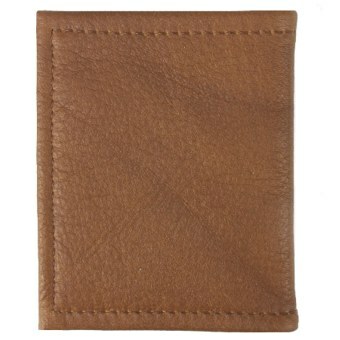 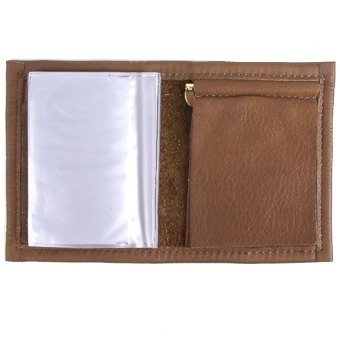 It has 3 pockets to hold your ID and credit cards and a strong metal bill hook to hold your paper money. Made in the USA.